Welcome to Day #5 of the Impyrium Blog Tour! IMPYRIUM is a fantasy story set 3,000 years in the future, after an event called the Cataclysm fractured major landmasses and ushered in a new age. The world changed, and not just physically. The Cataclysm coincided with a war in which mankind fought for its survival, and I was curious how things might play out over time. What kind of civilization would emerge from the ashes of this great conflict? 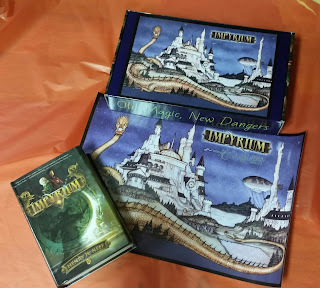 Fortunately, I had some tools to help me organize my thoughts and lay the groundwork for what would become IMPYRIUM. When I was a history teacher, I came across a term called S.P.R.I.T.E., which was a helpful way of thinking about a civilization or people at a particular point in time. The acronym stands for Society, Politics, Religion, Ideas/Culture, Technology, and Economy. I’d have my students break down key aspects of each letter for the various groups we’d study. For example, S.P.R.I.T.E. was a great way to compare/contrast 19th century England and China, and identify the social, economic, political, and technological factors that led to the causes and outcome of the Opium War. A handy little tool, that S.P.R.I.T.E., and one that I applied to the world I was building. 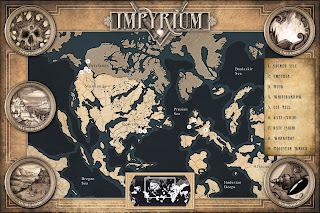 With IMPYRIUM, I began with Society and Politics since a key trait of the empire is that it’s a deeply hierarchical and dominated by a small group of magical humans and dynastic families. Once I’d fixed this as the anchor, I brainstormed how this aspect of the world might shape and permeate the others. For example, it’s unlikely that the idea of “natural rights” would exist in such a society, or that its rulers would permit technologies that could help non-magical humans to level the playing field. Titles would be of tremendous importance, as would one’s family name and lineage. Public education would be designed to identify the best and brightest commoners so they could be whisked away to state institutions and trained as minor officials. This would provide the empire with capable administrators but it could also serve a more Machiavellian purpose: to indoctrinate potential threats, make them part of the system, and hold them up to the masses as examples of opportunity and upward mobility. The process enabled me to develop a world that I found interesting, but also plausible. And it was invaluable when it came to imagining what might occur if something upset the equilibrium. For example, what happens if a technology enabling ocean travel begins to fail? It wouldn’t simply impact the world economy; there would be a ripple effect. Trade shortfalls might spur social unrest. Rulers of distant regions might grow more independent, or even cease to pay tribute to the Divine Empress. Speaking of that Divine Empress, her ability—or inability—to address the situation might call into question her power and authority. All sorts of fun and dangerous situations might arise. And S.P.R.I.T.E. helps me think them through. Now, I’m a big geek and could do this stuff all day, but I also recognize that world building has its limitations. A cool world is not a substitute for great and memorable characters. Characters are the soul of a story, and what bring readers back for seconds. While S.P.R.I.T.E. helps me create a fun and interesting stage, Hazel and Hob will always be the stars of the show. 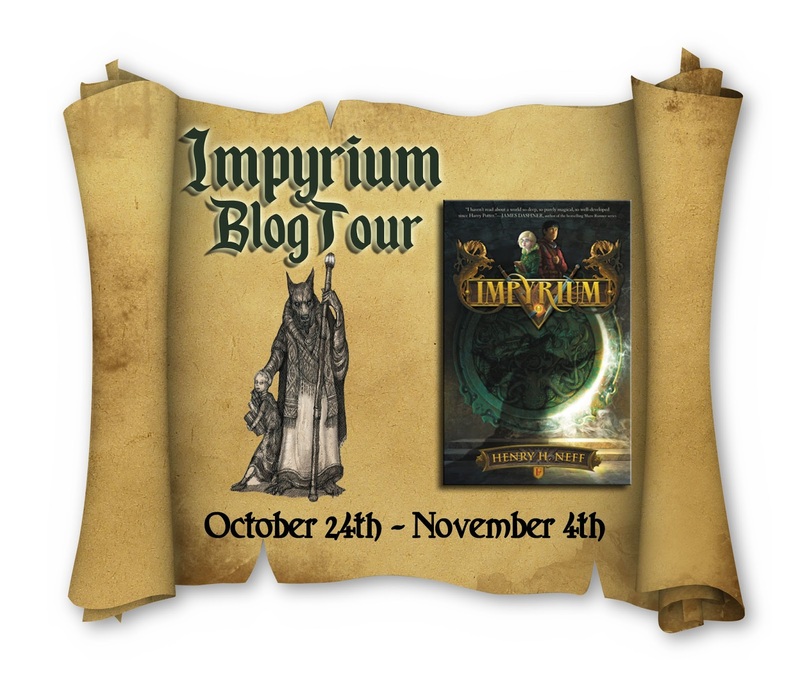 Want to learn more about Impyrium’s world? Click here and dive into a tale where Old Magic meets new dangers. Stop by WordSpelunking on Monday for day #6 of the tour! In the first book of Henry H. Neff’s new high-stakes middle grade fantasy series, two unlikely allies confront a conspiracy that will shake the world of Impyrium to its core. 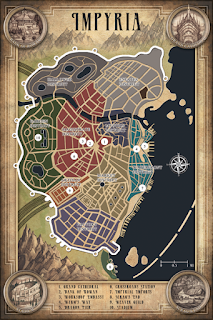 For over three thousand years, the Faeregine dynasty has ruled Impyrium. But the family’s magic has been fading, and with it their power over the empire. Whether it’s treachery from a rival house, the demon Lirlanders, or rebel forces, many believe the Faeregines are ripe to fall. Hazel, the youngest member of the royal family, is happy to leave ruling to her sisters so that she can study her magic. But the empress has other plans for her granddaughter, dark and dangerous plans to exploit Hazel’s talents and rekindle the Faeregine mystique. Hob, a commoner from the remote provinces, has been sent to the city to serve the Faeregines—and to spy on them. One wants to protect the dynasty. The other wants to destroy it. But when Hazel and Hob form an improbable friendship, their bond may save the realm as they know it…or end it for good. Henry H. Neff grew up outside Chicago before going off to Cornell University, where he majored in history. 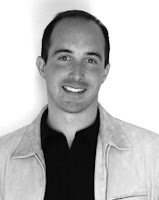 Before becoming a writer, he was a management consultant and also taught history at a San Francisco high school. 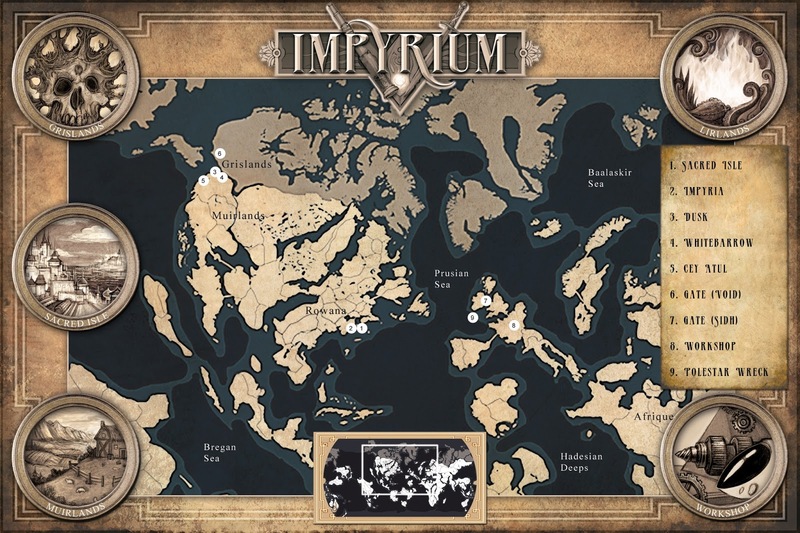 Impyrium is his second series. The first, The Tapestry, is a five-volume epic that follows the life and adventures of Max McDaniels. He lives in Montclair, New Jersey, with his wife and two sons. You can also find him at www.henryhneff.com. 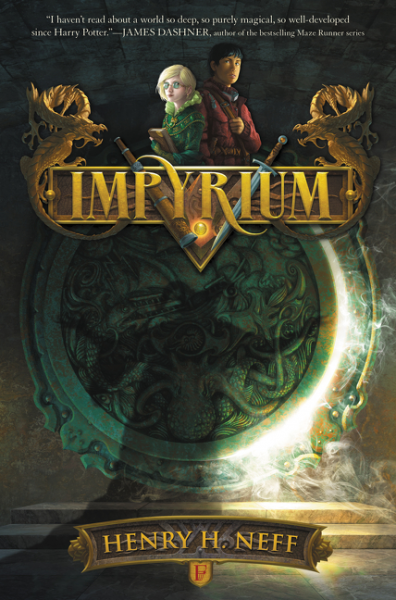 At 500+ pages, Impyrium is truly the beginning of an epic fantasy series. Neff has done an amazing job of creating a dystopian world from top to bottom. The amount of detail given is amazing, it's clear that the author has thought through his world very thoroughly (see account above). But it's Hazel and Hob that kept me reading the book. Hazel is a sweet girl, who through no fault of her own, happens to be one of the granddaughters of the Divine Empress, the last of the Faeregine dynasty. She also happens to be the only one with any magical ability, which makes her priceless to her grandmother who is seeking for ways to keep the empire firmly under Faeregine control. But Hazel has no interest in any of this, she's glad not to be the heiress and seeks only to enjoy time to herself to read and study magic. Hob on the other hand lives a continent away from Hazel, deep in the Muirlands where he works deep in a mine to support his mother and sister. What a mysterious man named Mr. Burke offers him a chance to find out more about his father and work against the Empire for a substantial amount of money, he can't bring himself to decline. Neither Hazel or Hob however has any idea of the challenges and shocking events that await them. When the two meet and become friends things change for both of them, both find their ideas of world changing more rapidly than they are prepared to handle. And unfortunately, Hazel and Hob find themselves in the center of a plot to overthrow the empire. I found it fascinating to follow along on the journeys that both Hazel and Hob find themselves on, as they work to make sense of what they are learning, and deciding what it is they really want to be and what they really care about. I love this kind of fantasy because it has so much depth to it. The characters, including both Hazel and Hob themselves, come across as real because they have both strengths and weaknesses, and sadly, that means they both face deception and betrayal. This new series with its intricacies and details provides not only a fascinating story but a thematic portrayal of friendship under the most difficult of circumstances. 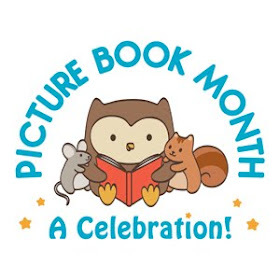 Middle grade is what I love to read and study for my own writing. I'm excited to read about this world and how the author created it. I'm going to say Harry Potter, Lord of the Rings, and Star Wars are my favorite epic fantasies. The Wheel of Time is my favorite. Best wishes. What a creative and talented author whose world is fascinating. The Name of the Wind for epic fantasy.